[UPDATE:] I have managed to publish a new, updated article about the cost of living in Romania in 2019. Make sure to check it out for the updated numbers! In 2015, despite the fact that VAT on foods in Romania was reduced to 9% (a price reduction that was only felt during the first month, prices getting back to normal in the following months because Romanian companies would never say no to some extra money and the buyers don’t seem to care) and despite the fact that our work on renovating our apartment were almost over, we spend obscene amounts of money per month to cover our living expenses. This means that the cost of living in Romania went up by a bit, right? Fortunately, NO! It was just us being extremely careless about our spending and never really sticking to our budget (which, by the way, will change in 2016!). But just to make sure that the information on this blog is up to date and to give you a better overview of living expenses in Romania, I decided to do this once more and share with you the cost of living in Romania in 2016. I added all the cities in the title for people searching for a particular one and I must admit that cost of living is pretty much the same throughout Romania, with the larger cities being slightly – but just slightly – more expensive than the smaller ones. The big question is – can you still live in Romania, in 2016, on a budget of $1,000 per month? Since the minimum wage in the country is around 235 Euros ($255) and I’ve already shared with you the story of this family living in Romania on $500 monthly budget, I have good news: yes, you can still live a decent life in Romania for $1,000 or as low as $1,500 per couple if you are careful with your spending! 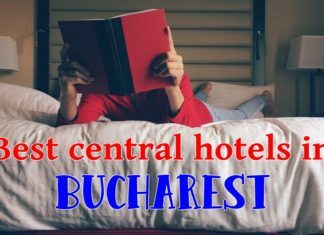 We’ll start with accommodation prices in the country: Bucharest and other large cities (Brasov, Sibiu, Cluj etc) are slightly more expensive in this area, but you can still find some great deals. The prices below are for furnished apartments that are in a decent state, but might need some improvements – especially if you like your luxury. Also, renting a house in Romania is even more expensive than that, as we have recently found out when we connected with a family from the US moving to Brasov. Renting a studio: starting from 100 Euros, going up to 350 Euros in the heart of Bucharest with luxury furniture and in a new building. I think that 150-200 Euros can find you something nice in a good area. Renting a 2 bedroom apartment: starting from 200 Euros (outskirts or smaller cities), going up to 500 Euros (for luxury, central locations). I think that around 300 Euros would find you something really nice. Where to find great deals on housing? Try OLX – it’s all in Romanian language, but the good news is that you won’t get any foreigner-priced offers which are usually overpriced! Intretinere: prices vary based on consumption and time of the year: we usually pay more during the winter because of the extra heating costs. Expect to pay as low as 11 Euros during the summer months to as high as 135 Euros during the cold winter months. Electricity: Again, it all depends on how much you use. We pay between 15 – 25 Euros per month and we’re at home all day. So housing costs, rent included, could start at as low as 180 Euros per month (expect something very basic in terms of your house) to… well… sky is the limit. If I were to estimate, for decent living, I would say that around 275 Euros should be considered here (for one person living in a studio). Last year’s prices are still pretty much accurate, so you can check them out. I have a few examples for you below, plus an estimated budget for food at the end. The budget is for somebody eating mostly at home, quality products, with occasional nights out. Of course, you could go lower or a lot higher than that! The prices I use below are usually the minimum prices you can (easily) find. You could still go even cheaper for some products as well, but it’s safe to consider these the minimum. Food is extremely cheap in Romania if you compare it to other countries and I believe that if you budget 150 Euros per month, you’d get a nice mixture of good quality food to cook at home and occasional nights out. If you are really strict about this, you could surely go for 100 Euros per month (I know families of three having a monthly food budget of 100-150 Euros). For example, we (family of three) spent about 350 Euros per month in 2015 for food, but I consider that heavy overspending. For 2016, our monthly budget is 220 Euros. Prices in Romania are still among the lowest in Europe and especially in the European Union. In the EU, comparable prices can be found in Bulgaria and Hungary, while other countries in Europe with similarly cheap include Moldova, Serbia, Macedonia or Albania. I believe that a budget of $1,000 for a single person would be enough to warrant a decent lifestyle in Romania – but have in mind that if you like to overspend, you go and eat out a lot and you like the more expensive things in life, you can easily find that $1,000 might not be enough for you. I still find it super amazing how little people get paid. Remember me saying Malts was low in wages, but compared to Romania..it’s high :-). I have to see how much my friends spent montly while they were based in Bucharest. I still want to visit..especially if at those prices we could go to a top restaurant for cheaper..even if more doesn’t mean better food..haha! Yes, it’s strange to see the wages in Romania and compare them to other countries in the EU. And the wages kept going up on a yearly basis for the past few years, so things looked even worse back then. The food in Romania is good, though even though you can indeed get super high quality restaurants for decent prices. Thank you, very informative! I’m concerned as an American retiree I might not be allowed a retiree visa. I looked at other countries in Europe but non-EU and the one that is the only one that might give Romania some competition is Macedonia. From what I’ve read it’s even cheaper to live there but it lacks the development Romania has. That being said the capital, Skopje, has about everything including WizzAir flights and a multiplex theater. English is widely spoken, they’ve got a beautiful resort town named Uhrid on an incredible lake with the same name. It’s safe too. One big problem, Muslims make up one third of the population and not so long ago they had to deal with a Muslim Albanian insurgency. Appears peaceful for now. Macedonia is the only former Yugoslav republic that broke away without bloodshed. They seem very pro-West and capitalistic but do use the Cyrilic alphabet(they are ethnically Bulgarians). Romania seems to have much more going on, but if we can’t get in to stay then Macedonia might work. We have friends from Macedonia and they are indeed great people. I don’t really know how the non-EU thing works, but I do know that Macedonia is indeed really cheap. You can “trick” the retiree visa by creating a company in Romania – just on paper, with very low yearly costs and no activity and then you are guaranteed the visa. A very comprehensive entry on the cost of living for your country, Romania. You didn’t miss any of the essentials. The US family that moved here is already in the process of getting their long stay approval. It seems that the only trick you have to do is to start a company in Romania, have no activity but pay some minimal yearly contributions. There are lawyers who do that and it’s guaranteed to work. In my opinion, it’s extremely stupid and pointless, especially when dealing with retired people who obviously have stable monthly resources, but that’s how the state tackles the problem right now. I am not 100% sure, but I think that the yearly costs to run a company (you also need an accountant) are around $1,500. I will find out more about this and write an article about it. Hopefully, things will change in the near future because this makes no sense. You might want to look closer at Ecuador. Their violent crime rate is much lower than Colombia and if you live in a gringofied town like Cotacachi it’s very safe. Deal breaker for me is Internet speed, way too slow. A lot of Americans and others have moved to Ecuador and that’s not going to stop anytime soon. Thanks Calin and Teil for the good info. $1500 a year…is that for the primary visa holder and dependents or will my wife need her own “business” visa too? The problem is we plan to visit the State’s during the Holidays every year and plane tickets are expensive. From what I could find Macedonia also only allows 90 days in a 180 period. They no longer allow extending a tourist visa once in country. If you want to live there longer than 90 days you must apply for a visa in your home country. I need to contact them. It’s $1,500 years for the primary visa holder, but the wife and kids don’t need to open up their own businesses. Families must be together, so if one family member has a business opened up and lives in Romania (applies for the long stay visa), the others can stay as well. Update: IT appears that the $1,500 is just for the first year when you set up the company. For next years, it’s about $450 per year for paying the accountant who does the papers (prices vary depending on the city, what I quoted is considered in the upper end) and whatever other taxes are required for the company, which should be extremely low since there will be no actual income or activity (close to zero). So it’s safe to say that after the first year, you will only have accountant costs of about 500 Euros per year. The Macedonian embassy is sending me info on residency there. They don’t have a retiree visa either. Since we’re coming over with just suitcases, I’m considering alternating between a couple of studios, traveling back and forth between Romania and Macedonia every 3 months. Would work since neither are Schengen yet. I really don’t want to deal with a lot of red tape(as we call bureaucracy in the U.S.). Wade, the family that moved clarified the visa-getting thing: Everyone 18+ in the family is appointed as an administrator because it’s easier that way and all gets completed at the same time. However, children under 18 can only apply AFTER the parents get the residency permit – and since you have to wait for 30 days to get it, things get pretty tight, but a good lawyer will know when to send the papers (apparently, the child can apply before the actual residency comes and get approved after getting the residency). Hi Calin, After looking over the document the embassy sent me it appears the perpetual tourist route will be the easiest way to go. What I’m proposing to do is keep an apartment in both countries and pay up front for 6 months each. Granted that’s paying twice as much but prices in Macedonia are very low. Should find a one bedroom for less than $150 there that’s decent. Their second largest city, Bitola, looks very liveable or we might live on Lake Uhrid. The only country I know of that allows a “retirement visa” is Bulgaria. Oops, hit the wrong button. That’s Lake Ohrid actually. Both areas are considerably cheaper than Skopje which is even more affordable than Cluj. Speaking of Cluj, the website Numbeo does comparisons between cities and it looks like Cluj’s popularity has increased prices compared to cities like Oradea. Rent is significantly lower in Oradea. I also found a webpage that says the Macedonian gov’t is working to increase Internet speed and up to 100 mbps will be available by 2020. Romania definitely has more going for it, but those prices in Macedonia are hard to beat. I thought about the option of keeping an apartment in each country and using them when you’re there only – it would certainly be cheaper than trying to find short term rentals every 6 months. The friend I have from Macedonia is from Bitola actually and she says that is the best city in the world 🙂 They are indeed investing a lot in the city and we saw photos and movies from there and it was indeed really nice. I really appreciate that you are genuinely trying to help people, not trying to just push Romania. I wish we had the same rights as EU citizens to live there but that’s the way it goes. But 90 days at a time is still worthwhile and we look forward to enjoying your country in 2017. Have a great one! Well, we can’t stay for longer than 90 days in a different country either, but at least we don’t need a visa 🙂 I don’t think that Romania is one of the best places in the world to live in and if I had the financial means, I’d probably switch it for another country myself (preferably something near the sea). Hope you’ll have a great time here in 2017! For your future’s sake I hope Romania goes Schengen so that you might have that opportunity. My bladder would probably burst before I could find the men’s room–ha, ha! The Georgian alphabet does look funky! For some reason, I thought they use the Cyrillic as well.. and they also have the Russian friends ready to get interested in them once again so that would not be a top choice for me. I felt the same way about the Cyrillic alphabet in Bulgaria but figured we’d muddle through with the help of English speakers. Then realized through research that English speakers in Bulgaria aren’t nearly as common as in Romania. “Discovered” Bulgaria first because of British expat websites but Romania appeared much more interesting. But everything I’ve found about Macedonia suggests that English is widely spoken. Probably due to British control of Greece for some time, I don’t know. One thing that is very attractive about Bitola is that it’s usually 10-15 degrees Celcius cooler than the capital Skopje in the summer. And Skopje appears to comparable to Romania summer weather wise. So Spring and Fall in Romania, Summer and Winter in Macedonia, and we’ll fly to Florida to visit family in December. And now of course am reading of a looming political crisis in Macedonia due to the Syrian refugee situation that could devolve into violence. My last post on all this, will just read the blog for a good while and try to figure what’s next. Great info. for us and an interesting read. Thank-you. I will be back in your country this spring. can’t wait! I hope you’ll find it a lot better than it was last time you visited! The rent is the great bargain in Romania (In Los Angeles the average one bedroom runs $1,700.00 USD per month, and Romanian general food is even a bit lower than it is in California (Food in the US is quite inexpensive). The only Romanian prices that surprised me were those of Romanian Restaurants. For a couple: $18 USD for simple sit down restaurants, $ 30 USD for moderate restaurant (excluding drinks), are identical to their prices here. I’m not talking about a Costco type fast food restaurants were a large hot dog with unlimited soda is $1.50 USD. Hotels seem about 25% less expensive in Romania than here, at least on the inexpensive end. Where would you say is the very best location combining low costs, stable, quality, on the liberal side culture? Thanks for your input. It is strange to hear that restaurant prices are similar… our friends from the US who moved to Brasov were impressed by the low prices of eating out and when we were together, they always said something like: “this would be at least 2 or 3 times more expensive in the US”. The prices are for three courses (starter/soup, main dish and dessert). Regarding the location, that’s the million dollar question. I have already suggested and written about some locations on this blog, but popular destinations seem to be the larger cities (Bucuresti, Brasov, Cluj Napoca, Sibiu or Timisoara). Where to live in Romania? I am from Minnesota. Having been to Romania many times with my Romanian wife I would suggest a city over 50k pop. We are living in Alba Iulia. We are less than an hour from the mountains and recently attached to the autobahn. Autobahn access is a big deal as it saved us hours in travel time through the mountains on two lane roads. On autobahn it is nice to have that evacuation lane to avoid the (insert negative words) Romanian drivers. Romania is booming and improving fast. Hard to notice if your living in it but visiting each year we see big improvements. So picking a location that makes you happy is a lot of fun. Look at map and Romania offers it all. Mountains, Sea, big Rivers, and big cities. With great history and amazing thing sto explore. Looking forward to easy access to rest of EU as well. Cost of living is surely less than any major industrial country. We expect to live very well on monthly budget of $1500 per month. I would testify that you will save between 25-50% living in Romania vs. United States. C. What do you think our family should budget for medical? And how? Good health care is my biggest concern. Regarding the health care system, I really don’t know how to estimate costs as it depends greatly on one’s general health. You will need to get health insurance if you plan to stay in Romania and I guess that would be about 90 lei per month for a Private insurance. Afterwards, you must get the state one as well, which is about 70 lei per month too (and you can stop paying the Private one). Many Romanians simply choose to pay for visits at private clinics whenever they need to go (a visit to a good Private Clinic with a good doctor would cost about 150 lei, sometimes less, sometimes more). So unless you really need to regularly visit doctors and get blood samples and such, it would probably be best to just keep the state insurance (which you have to pay no matter what) which offers you access to hospitals and everything else in case there’s an emergency and just pay for everything else whenever you need to. First, thank you so much for the helpful info on this site! I plan to take early retirement this year and hope to move to Romania early next year. What I’ve learned so far is this, I gather that 30 days into my 90 day visa, I can apply through an attorney for a business visa which will cost around $1,500 the first year, and $500 each year thereafter. From most of what I’ve read and pictures I’ve seen, I’m already falling in love with Romania. Can you recommend one of these three cities over the others please? The more I read and look at pictures and videos, I just get more confused. So, between Cluj, Timisoara & Brasov, which do you think may be best fit for me, a 62 year old retiree; a nice, furnished studio, night clubs not important, but access to parks and/or nature, able to walk or use public trans. for easy access to shopping, entertainment, restaurants, etc. I plan to learn the language at least somewhat, but still where most speak at least some English. Is one of these cities a better fit for me than another? Thank you so much in advance for your help and any other suggestions as well! Sorry, I forgot to add a couple of things. I do have some savings, but I prefer not to touch it and live semi-comfortably on my $1,400 a month S.S. benefits if possible. I have done some writing and hope to finally write a novel I’d been putting off for years, and I also love to photograph nature as a hobby as well. Thanks again, and I am so grateful to have found you and this site! Hello JC! I am happy to hear that the information provided here is useful and yes, you basically got everything right! I also believe that your monthly amount should be enough to guarantee a good lifestyle: we are a family of free and our monthly expenses are about the same as what you’d have for one person (but we don’t pay rent/mortgage or health insurance). Regarding the cities, it’s very difficult to say as it is mostly a thing of personal preference. Timisoara is very lively and party-oriented, so I believe that you should leave that one out. I would personally choose between Cluj and Brasov, but I can’t make any suggestions. The family that moved to Brasov (wrote about them on this blog) managed to make friends easily and very fast, there is a small but active US expat community, and they have no problem speaking English in most places. 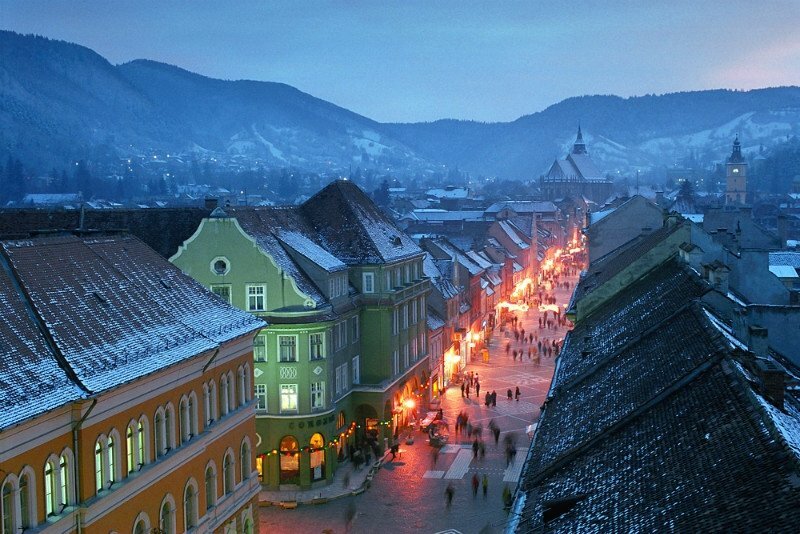 They also chose Brasov because of its proximity to Bucharest. But I really can’t say more than choose the one that you think its best between Cluj or Brasov. Wow! Thank you for such a fast and thoughtful response! I recall reading here about the family moving to Brasov also, but wasn’t sure of many details of their experiences. Thank you for your thoughts on the cities, and I think you’re right that I may cross off Timisoara for now, and am leaning toward Brasov. If I were younger, I believe I’d prefer Cluj, for it’s universities, young people, and progressive tech oriented features & qualities that are growing there. At my age, I think Brasov may be more the traditional and slightly simpler lifestyle I’d prefer. I like the castles, the proximity to mountains/countryside, etc. And though I’d appreciate some expat connection in the beginning , I truly hope to immerse myself in the country and Romanian culture. I hope to eventually make friends with locals, and volunteer with some nature or eco oriented groups in the area. Again, it is so kind and wonderful of you to give of your time and knowledge to help those exploring the incredible possibilities of a future in Romania! I will continue following your site and others questions, and have more along the way until I’m able to make the move. C., I thank you so much for being such a helpful resource here on this site! with utilities/internet. I’ve worked hard since I was 14, and literally can’t afford to live here without continuing to work or completely running through my savings in just a few years. I was working 60-75 hours a week most weeks for years up until recently, and I am tired and ready to retire and take it a little easier. But, I still have a sense of adventure and always wanted to see Europe & other countries too, but never was able to take the time. I started exploring the possibilities and have researched and considered other places, like Central and South America, or other European countries like Portugal, Macedonia, Hungary, Serbia, or Bulgaria. But, for some reason, I kept coming back to Romania for many reasons and just overall find it a better fit for me. Even if I settle in Brasov, I intend to travel around the rest of the country as I’m able and explore the rest of these amazing cities. Sorry to go on and on, but I’m just so happy to have found this site, and someone like you, who has such helpful information and advice! I am happy to hear that and especially happy to know that you find the information published here helpful. It is indeed sad to hear that after working an entire life you can’t afford to live in the country you did, but fortunately there are some nice options out there. All the countries that you mentioned are really nice (from what I heard, since I haven’t visited them all) and I think you could afford to live in any of those… it’s all a matter of preference. Sometimes, after living for too long in a country, you start seeing just the Cons and that’s why I might not see Romania with the same eyes somebody new to the country would. I would suggest, though, if you haven’t been here already, to visit first. Maybe reward yourself, after all these years of hard work, with a month-long trip to Europe and spend one week in each country you have on your wish-list. It’s probably better than just jumping head first and maybe get disappointed (although sometimes the best fun in life is jumping head-first into the water). If you would rather skip the high costs, do explore the city streets of these countries with Google Streetview and watch Youtube videos. Find the one that still is closest to your heart and go there! On Romania’s side, locals are also very friendly here, especially towards foreigners, so you should have no problem making local friends as well. Thanks for the kind words, JC! Allow me to suggest Timisoara and Arad if public transportation is important to you. Brasov has only buses. Timisoara has a 38km tram system plus buses. There is also an international airport. Arad has 48km of trams. Medical facilities are much better in Timis. I am an early retiree from Cyprus and I plan to move in Romania at the end of this year. I have chosen to live in Arad which is even cheaper that Timis yet very close to it as I do not want to own a car in Romania. I appreciate your comments, and like you, I plan to retire to Romania possibly at the end of the year, but more likely early to mid-2017. I have done extensive research from afar, unfortunately I have not actually been to Romania as of yet. Also like you, I plan to try to live without a car there, so besides my feet, I will be relying on public transportation to get around, and in that regard it is important. The problem with both Arad and Timisoara is they aren’t in the mountainous region of Transylvania, which is most important to me. So, I have tentatively settled on Sibiu, as it’s a little more off the beaten path than Brasov, a little smaller and more intimate feeling, but not so small as to not have the type of conveniences and services usually found in larger cities. From everything I’ve read, and seen in pictures & videos, I believe I’m destined to fall in love with the Carpathian mountains of Transylvania. Your point is valid for those who aren’t as dead set on the mountains, as it would definitely be a big plus to have an available tram system instead of buses. Best of luck George, and the beauty of it is that I believe Romania has enough variety to have something for everybody. I will do my best to provide more info regarding other options in Romania that are away from the beaten tracks. I know that info regarding attorneys and accountants would be really useful, but right now I can’t help with that. Hopefully that will change in the future. I really liked Medias but it has no tram system. hey man could you help me out really quickly. i am new to brasov and romania however i am looking for an appartment to be at. i have found one that cost 375 euro a month + utilities that i think is very nice. my budget is on 1000 euro. i don’t know much about the costs here so i am just wondering if you think after each month everything put in like food, rent and utilities. do you think that would be livable would i be able to save a little bit off money every month? I think that it depends a lot on the way you live and how much going out/entertainment you’d be expecting. A rent of 375 Euros per month might be a bit too much: it all depends on the type of apartment you’re getting. If it’s a one bedroom, it’s a bit too much. If it’s a two bedroom or more, it might be right. But I personally believe that if it’s just you there, you would be fine with a studio, which could cost as low as 200 Euros per month. Also, the fewer rooms you have, the lower your utilities costs would be. So I personally suggest trying to go for a studio and get a bit more money and see if your budget could work for a 375 Euros per month rent. If you were to go with the current situation, I’d consider a total of 500 Euros per month in rent and utilities just to stay on the safe side. This would give you 500 Euros per month for everything else, which could be doable if you are not a big spender and you don’t plan going out a lot and partying often and you would cook your own food at home most of the times. However, since it’s your first time here, I would try to find cheaper accommodation. Herastrau area apartments 2 bedrooms start from 800 euro. Where do you find 300 eur accommodation mate? In other cities and maybe even in Bucharest, but in other areas. It’s difficult to set an average per country, and have prices correct for all cities. Bucharest is the most expensive city in Romania and people can do their due diligence by checking out listings on my shared link towards OLX. Just did a quick search on OLX as well and there are options for 2 bedroom apartments in Herastrau for 500 Euros per month, 600, 700 and so on (although, it’s true, their number is limited). I hear inflation is picking up. How bad is it and when do we get your most popular post updated to 2017? Inflation is indeed picking up, it was close to 5% in February 2018. However, I can’t say that we really feel the effects of that yet and the impacts on the cost of living is minimal at the moment. There are some prices that have jumped up quite a bit (like butter, for example), but that’s not because of the current inflation. But with some experts claiming that inflation might go up to 10% this year, things don’t look good at the moment. However, for those who don’t rely on income from Romania, things are not that bad because the exchange rates for USD and Euros have also gone up, so for the people who get their income elsewhere, there’s no impact on the cost of living. Georgia (the country) grants 365 days visas and Armenia 180 days. Tbilisi is a beautiful city and has a modest metro system which makes transportation easy. It’s a very cheap city and has mineral baths. A comprehensive private health insurance costs about 24 euros a month. Batumi, a seaside city in Georgia is even cheaper than Tbilisi. There are cheap flights with Wizzair to Georgia. In Romania I would recommend Arad. It’s a beautiful city of 170.000 by the river Mures. It has the second most extensive tram system in Romania so owning a car would not be necessary. It’s cheaper than nearby Timisoara. Arad even has an airport so does Timisoara. Thank you for the additional comments, George! Arad is indeed a nice place to be and its proximity to Hungary make it a good place to be in if you want to explore the area a little bit. soon transfer to Brasov/fagars base Company any information price/rent etc ? The cost of living in Brasov is similar to that of the other cities in the country, so the numbers shared in this article should be just about right regarding what to expect price-wise. HI, a brief review from Serbia-maybe the food prices in Serbia are comparable to those in Romania, but the cost of living is way bigger in Serbia. The Intrinere or how you call it is much higher in Serbia, of course depends on the square area of appartment , depends on how you heat yourself ( central heating) while gas heating is on a separate bill. Comes up to from 20 euros to even 50, 60 euros monthly. Electricity expensive, though there are categories of price , depending on how much you spend electricity (the more kwh you spend it costs more). The electricity bills come out about 50-60 euros, for about 600 kwh a month.And its spring and fall. In summer , when you must use the air condition if you live in a city, or in winter if you use elctricity for heating or partial heating it can get up to 80-100 euros monthly. The petrol is much more expensive , about 1,27 euro per liter. Minimum take home wage is about 200 euros, average is about 400 euros, so wouldnt recommend to work and live here. You can live decently here but only with money income you get from somewhere else, or if you get lucky to jump into some companies that do have good salaries, which is rare. Thanks for sharing your thoughts on this. Based on my experience from briefly visiting Serbia, I saw that many of the prices are lower than in Romania, especially when it comes to food and restaurants. Didn’t get the chance to learn about the others you have mentioned. However, since this article has been published, prices have increased in Romania as well and I have an update planned for early 2019. A liter of petrol, for example, is now closer to 1.10 Euros, we had a month during the winter when we paid 172 Euros for intretinere… so things are somewhat similar here in terms of living and earning: it’s all better if you don’t depend on income generated inside the country.